Looking for a brilliant dress? - Cherry Colors - Cosmetics Heaven! Looking for a brilliant dress? It's been many years since my prom dance. I mean, I never got to my prom dance because of some complications and being on an all guys high school it didn't seem like a top priority, but I did go to plenty of others. I remember the excitement I felt when I first designed my dress. I have an awesome grandma who can sew like no other and my dress was brilliant! It was a great bonding experience, but I was one of the lucky girls. Not so many girls have such an opportunity to know someone who can sew. That's why when I stumbled upon Jeccica Dress, my eyes got wide. Wide with excitement and disbelief. I looked at the party dresses available and oh boy, they are beautiful and there are so many of them! The colors, the designs, the details. Brilliant! I will never get to be a prom "queen" again, but then again I am sure the dresses from Jecica Dress are suitable for many occasions. I am looking at these princesses like dresses and I can see girls wearing them to proms, maybe an evening wedding or a ball. I think it's amazing how the market grew and now you can practically get any sort of dress. Short? Check! Very long? Check! Maybe you want to look like Elsa from the Frozen movie? It's all possible. I wish we had such a choice back "in my days". I sound old, but I am very happy for the current generation with their ability to choose the best dresses for their money. 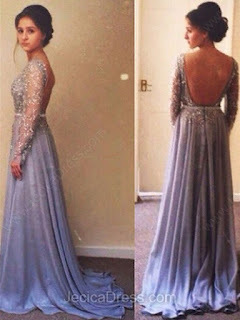 Even just wearing such a lovely dress for the sake of it would make me feel like a princess. A beautiful grown up princess. As you can see, I like the dresses with crystals and probably there are girls wearing them to a yacht party or a fancy party. Can't blame them, they must look beautiful in them. If you need a beautiful dress in the upcoming weeks or maybe months go check this site out. They have a huge selection of party, prom, wedding and similar occasions, dresses. The prices for these dresses vary from the very affordable 80€ to the exquisitely priced dresses at a 200€ price mark. Even if you don't have a special occasion coming up, you can still get yourself a beautiful dress just for the sake of it - and maybe, just maybe, feel like a movie star on the dance floor for the night.